The Day of Uzbekistan’s Culture are going on in India from September 10 to 14, 2018. The opening ceremony was held in PravasiBharatiya Kendra (MEA) with a colourful performance of Uzbek music and dance by the delegation of Uzbekistan. 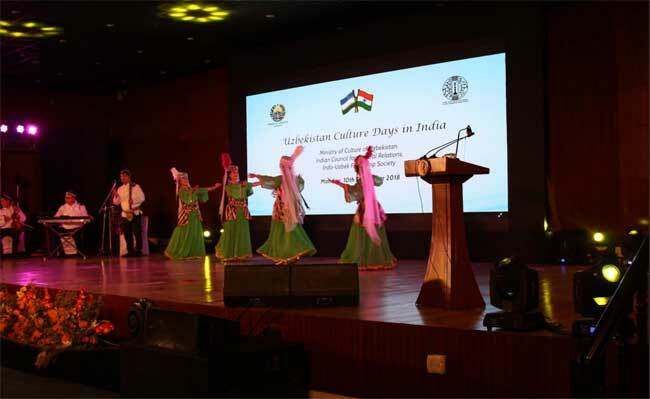 The Culture Days are organised by ICCR of MEA, Indo-Uzbek Friendship Society from Indian side and the Ministry of Culture of Uzbekistan and the Embassy of Uzbekistan in Delhi from Uzbekistan’s side. 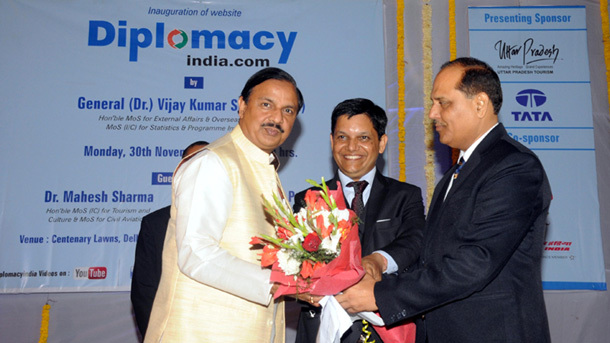 The opening ceremony was attended by over 300 guests including heads of missions and embassies of foreign countries in India, government officials, business circles, representatives of art, culture, cinema and academia and journalists. Many of the guests were accompanied by their families as the event was held in a family-friendly atmosphere with a vivid performance, exhibitions and many more. The exhibition of Uzbek applied art was presented at the second floor of the PravasiBharatiya Kendra. 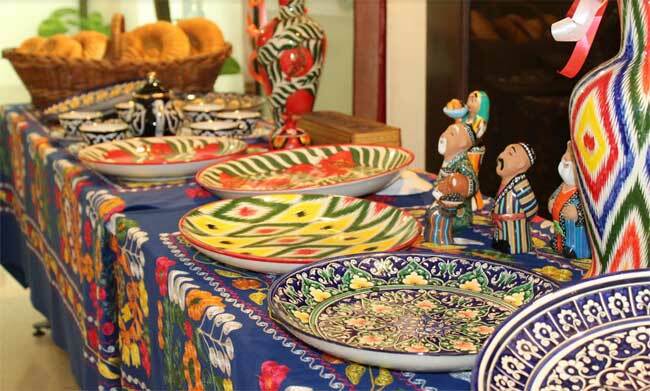 Ceramics, suzani, textiles, wood carving and other unique arts from Uzbekistan created a special atmosphere. Before the opening guests could watch the presentation films about different cities of Uzbekistan, tourism and business opportunities and the International Maqom Art Forum in Uzbek city of Shakhrisabz, where the Indian vocalist won second prize this week. The concert part of the opening was performed by vocalists, musicians and dancers of SirdaryoNavolari ensemble of Uzbekistan. Vivid dances, symbolising national traditions, virtuoso play on national instruments and powerful vocal performances kept guests attention for almost one hour. Especially colourful and educative were the dances with carpet, the dance illustrating bread baking and classic Uzbek Tanovar. The Lazgi dance from Khorezm made many guest to stand up and join the dancers. Joint-secretary of Eurasia Devision, MEA, Mr. Manish Prabhat, in his welcoming speech said that Uzbekistan and India enjoys long rooted friendship tie and share same values in culture and arts. Among other speakers were Mr. Anil Shastri, President of Indo-Uzbek Friendship Society, Mr. SandeepMarwah, International Chamber of media & Entertainment Industry and Chairman of Indo-Uzbekistan Film and Cultural Association, Dr. NareshTrehan, Chairman of Medanta Multi-specialty hospital Gurgaon, Professor ShahidTasleem of the JamiaMillia University who has presented the 4 volume book on Uzbek language. As it was mentioned during the book launch ceremony, the devision of Uzbek language at JamiaMillia University is attracting more students every year. Soon Uzbek devision is expected to open in Jawaharlal Nerhu University as well. Uzbekistan Culture Days will continue till September 14, 2018. The programme includes events in the Institute of Management named by LalBahadurShastri, film night and music performance at Marwah Studios in Noida, visit by Uzbekistan delegation to Agra and other.